Government after government has indulged the tax avoidance operations going through Jersey, Guernsey and the Isle of Man. But Labour has finally said: no more. Last week a history of sorts has been made in the UK Parliament. For the first time, a political party voted against a tax treaty with UK Crown Dependencies, namely the Islands of Jersey, Guernsey and the Isle of Man. The vote was by the Labour Party as it signalled that it won’t tolerate secrecy and tax avoidance antics of these islands. The occasion was the parliamentary committee stage of the Draft Double Taxation Relief and International Tax Enforcement agreement. Double taxation agreements (DTA) are quite common. In general, the benefit is that individuals and businesses do not be taxed on the same income twice. A double charge tax might arise when an individual or a business resides on one country but has a taxable gain or profit in another. That profit may be taxed by the country where the gain is made and also where the taxpayer resides. So double tax agreements are signed to ensure that income/profit is taxed only once. Suppose a taxable gain is made in country A with a tax rate of 20% and taxpayer resides in country B with a tax rate of 30%. Under such circumstances, the taxpayer would pay 20% of tax in country A and 10% in country B. For the above system to work, tax authorities need to know details of the taxpayers who may well be hiding behind anonymous shell companies. Agencies fighting financial crime need to know the beneficial owners as a large amount of dirty money moves through anonymous shell companies through uncooperative tax havens. Without genuine names, addresses and other details of the parties behind the shell companies, law enforcement agencies can’t easily advance their inquiries or catch up with the parties benefitting from illicit financial flows. The public needs to be aware of the beneficial ownership so that it knows who it is transacting with. The UK has a legal and moral responsibility for good governance of Crown Dependencies, but successive government have done little to erode secrecy and opacity provides by the Dependencies even though they routinely facilitate tax avoidance and thereby undermine the public purse in the UK and elsewhere. For example, tax avoidance exposed by the Panama Papers had some 8,000 entries for the Isle of Man. Another 14,500 companies, trusts and individuals were linked to Jersey and a large number from Guernsey. However, these fiddle factories have done little to address the global concerns. The Paradise papers revealed that secretive structures in the Isle of Man and Guernsey enabled the Formula One world champion Lewis Hamilton to avoid £16.5m VAT on the purchase of a jet. And corporate structures and trusts based in Jersey have been used by Apple and Shell to avoid taxes. Just last month, a court declared a tax avoidance scheme designed by Ernst & Young for its audit client Teesside Power Limited (subsequently renamed GDF Suez Teesside Limited) to be unlawful. 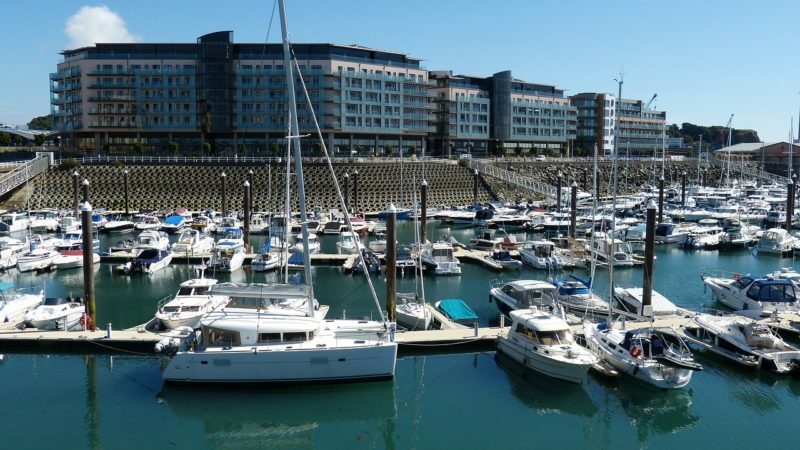 The complex transactions for the scheme used were routed through entities in Jersey. In case a defensive response is forthcoming, a reminder that Jersey pays right wing think-tanks to whitewash its role in dirty dealings. It also orchestrates attacks on individuals exposing its unsavoury practices. In the absence of any urgency, earlier this year backbench MPs targeted secrecy and lack of information provided by Crown Dependencies and demanded that beneficial ownership of corporate vehicles be identified. Ministers, with tacit understanding from Crown Dependencies, persuaded MPs to withdraw the amendment with the promise that the government will negotiate and secure the necessary change at Crown Dependencies. More than six months later, nothing has happened. Labour seems to have decided that enough is enough and that it needs to take a principled stand against places facilitating secrecy and tax avoidance. It voted against the DTA as that presented the opportunity to censure the government and Crown Dependencies over their failure to deliver the promised change. The DTA was voted through by Conservative members of the parliamentary committee by 9 votes to 7, but Labour has put down a marker – it will not indulge tax havens. That should provide some food for thought for Crown Dependencies who have been playing a double game for far too long. They undermine the UK tax revenues whilst the UK taxpayers bear the cost of their defence and diplomatic representation in international forums. Residents of Crown Dependencies can also use the NHS. They can’t have it both ways.